A video produced as part of Dungloe’s entry into The Bank of Ireland National Enterprise Town Awards became a massive hit. Here’s how it happened. A video production company from Donegal recently hit national and international headlines with a film it produced about the town of Dungloe. The video (below) went viral and soon after its release the company secured a lucrative deal when it was asked by Riverdance to travel to China with their ‘Heartbeat of Home’ dancers on an international tour. Re-Act Productions is a small media company based in Donegal. Re-Act was founded in 2016 by Ciaran McCann who invited his life-long friend Shaun Doogan to join the business as a co-owner. “We pride ourselves on being innovative and different,” says Doogan. “We create videos that break the mould of corporate media content people are used to seeing online or on TV. “We feel as though it makes a lot more sense to create engaging content that people want to watch over and over rather than annoying, infomercial advertisements that we’ve seen time and time again. “A while ago we created a video for the Mary From Dungloe Festival for the Dungloe Mary; Caroline O’Donnell. The video was a comedy skit featuring Caroline in a Rocky-style montage of her training to be a Mary. Caroline used the video as her talent on the night of the crowning. “The video got shared thousands of times on Facebook after it was broadcast on TG4 and helped Caroline go on to win the Mary from Dungloe festival. The Dungloe Community Network saw this video, and Crona Bonner came to us to ask if we could come up with a video idea to showcase the town and its ‘Spirit of Enterprise’ in the presentation for the Bank of Ireland National Enterprise Town Awards. “The reaction to the video was extremely positive and overwhelming. As soon as it went online people from all over Ireland and overseas began sharing, including Daniel O’Donnell himself (who features briefly in the video). 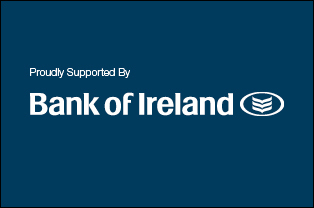 “The Bank of Ireland National Enterprise Town Awards project gave us a chance to show what we could do with help from the community and with zero budget in just three weeks. “We managed to do a lot with very little, and it seems with every project we do it opens the door to more, even bigger projects. “After the video went online, we were immediately flooded with requests from businesses, musicians and even tourism boards to create video content for their social media. “A big surprise for us was being asked by Riverdance to travel to China with their ‘Heartbeat of Home’ dancers on an international tour. “We are flying to China to work on a video featuring the cast of Heartbeat of Home, and we will be there for two weeks. This is a huge opportunity for us to showcase our skills and to open yet more doors for us in the future. For more, check out Re-Act Productions.